Are the inheritance tax rules about to be overhauled? The number of people forced to calculate and submit complex inheritance tax (IHT) forms could be slashed after the Office of Tax Simplification recommended a series of changes to simplify and make fairer the UK’s ‘death tax’ rules. Changes to how the tax is paid could also relieve the burden on executors, who will often have to pay large inheritance tax bills out of pocket, before being able to recover the money from the estate. The Office for Tax Simplification (OTS) found that some 275,000 executors need to file IHT tax forms each year, even though the tax is paid by just 25,000 estates. In the first of two reports, the OTS has highlighted areas where the process of paying inheritance tax should be made easier. In its second report, due early next year, it will suggest how to restructure the tax to make it simpler and fairer. The OTS’ survey found two-in-five people who acted as an executor themselves spent at least 50 hours administering the deceased person’s estate. Arranging probate, and understanding and completing inheritance tax forms were the most time-consuming parts of acting as executor, according to people who completed the survey. 61% of people who submitted IHT paperwork to HMRC had no idea how long they would have to wait for the forms to be returned, and three quarters didn’t recall HMRC acknowledging their paperwork when it was submitted. What changes could be made to inheritance tax? HMRC considering whether trustees should be forced to submit IHT forms, if no tax is due. 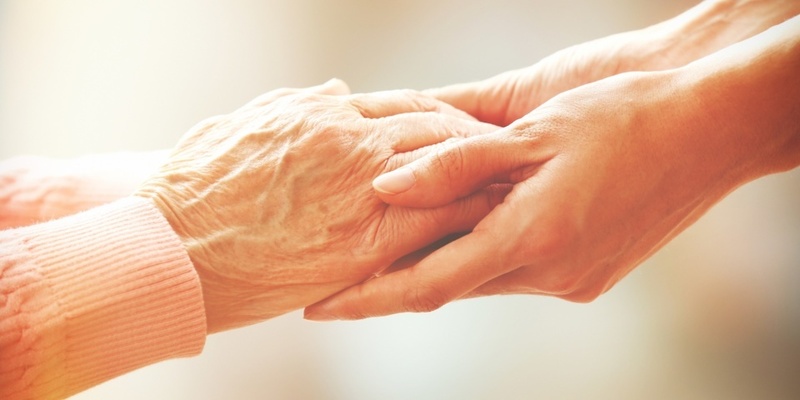 Many people find the rules around lifetime gifting confusing, which could lead to the OTS recommending these are reviewed. Currently, any gift made at least seven years before someone passes away will always be free of tax and in theory, gifts made between two and seven years before someone dies may be charged a reduced IHT rate. But the OTS found these tapering rules are ‘not always well understood’, with many people not realising the reduced rate will only apply when people who gift more than the £325,000 nil-rate band. Part of the reason IHT receipts have been steadily rising is that the various allowances and reliefs on offer have been eroded over the years because they are not increased to match inflation. IHT is a tax paid after someone dies, broadly at 40% of their assets over the £325,000 lifetime allowance. Some people can leave more, as there is an extra £125,000 allowance in 2018-19 for people leaving their main home to children or grandchildren. This will rise to £150,000 in 2019-20 and £175,000 in April 2020. Couples can pool their allowances, so can leave £650,000, or £800,000 if their estate includes a property. Why do people hate inheritance tax? It’s double taxation: IHT is charged on money that’s already been taxed. However, the same can be said for VAT (charged when you buy things with taxed income), and in some cases IHT is charged instead of capital gains when someone passes away. It’s unfair on some people: The generous allowances for people leaving assets to a spouse, civil partner, or when leaving to a property to children aren’t available to cohabiting people, or those who are single. ‘Wealthy people don’t pay it’: there’s a perception that the wealthiest estates pay proportionately less IHT than others, by making use of trusts, gifts, and other IHT reliefs. How many people pay inheritance tax? Though IHT is one of the most unpopular taxes in the country, it’s paid by fewer than 25,000 estates each year, which represents fewer than one-in-twenty deaths. That said, the number of people paying inheritance tax has steadily increased since 2010, which the OTS says is due to rising estate values and because the nil-rate-band has been frozen at £325,000. IHT raises less than 1% of the Treasury’s income each year, with £5.2bn paid in the 2017-18 tax year. That’s more than double the £2.4bn collected in 2009-10. The OTS estimates that around 10% of IHT goes uncollected or unreported, costing the government £600m each year. How much inheritance tax do people actually pay? 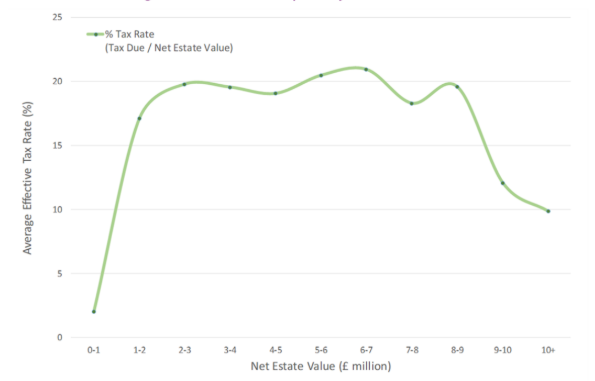 Even though IHT is charged at a flat 40% over the nil-rate-band, HMRC’s analysis suggests that the wealthiest estates pay a significantly lower rate than others, as they are more likely to take advantage of the rules that allow people to reduce the amount they pay. According to the OTS’s report, estates worth more than £10m claim typically claim reliefs that protect more than 70% of their estates from death taxes. According to HMRC, the effective rate of IHT paid by estates worth more than £10m is 10%, while those worth between £1m and £10m tend to pay between 17% and 21%. Estates worth less than £1m pay an effective rate of less than 5%, on average. Tax won’t be charged on any assets you leave to your spouse or civil partner. They will also be able to inherit any of your unused £325,000 lifetime allowance, increasing the amount they can pass on when they die. It’s possible to reduce the size of your estate by making gifts during your lifetime. One £3,000 gift can be made each year, along with an unlimited number of gifts worth up to £250, providing they aren’t given to the person who received the main £3,000 gift. Wedding gifts are also free from inheritance tax, if they’re worth less than £5,000 for children, £2,500 for grandchildren, or £1,000 for anyone else. Gifts made at least seven years before passing away will always be tax-free too. You can also reduce your IHT bill if you leave than 10% of your taxable estate to a UK-registered charity, or political party. The donation won’t be taxed, and the rate charged on your remaining estate will fall from 40% to 36%. Some assets are also taxed less under the current IHT rules. These include agricultural land, some privately owned businesses, and under some conditions, shares held in the UK’s junior stockmarket (called AIM), or Venture Capital Trusts, a type of Investment Trust.